It is neither, it just is! 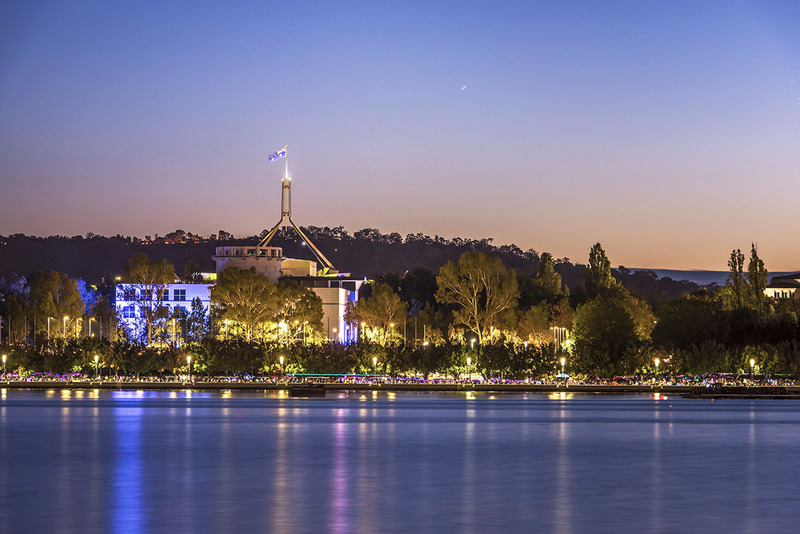 As Canberra evolves from being a small to medium-sized city, development is inevitable but requires a pragmatic approach to ensure sustainability from an environmental, social and economic perspective. The Canberra climate will be getting hotter and drier and will be subject to extreme weather events such as droughts and floods, making it essential to reduce the impact of development on the natural environment. A healthy city supports a healthy community and should be designed and planned with nature and the community at the forefront. Canberra’s progression in the form of the light rail network; and the vision for 100% renewal energy by 2020 is a step in the right direction but there is more to be done. Canberra is experiencing growing pains and we need to tap into the ACT’s robust policy framework to inform development projects and address the impact of climate change in the Bush Capital. Inner city renewal programs are great, but greening efforts and less eradication of the natural vegetation are essential to safeguarding the natural environment. More emphasis should be placed on the quality and viability of the built environment. Public institutions, for example, take up significant portions of land and should be proactively implementing sustainable and affordable environmental practices. Insufficient landscaping and greenery around the city and the absence of solar panels on major national landmarks and institutions are but a few concerns that set the backdrop to an environmental imbalance that if addressed, mastered, implemented and vehemently supported politically can be resolved. Greening should be appropriate for location and encouraged. For example, greening roofs, developing nature ‘pocket parks’ and encouraging the development of gardens across the city will contribute to cooling the environment and address climate change concerns. The opportunity exists to replant and regenerate Canberra’s multi-million-dollar asset in the form of thousands of trees across the city, as several trees will be coming to the end of their natural life. This urban forest is a means of climate proofing Canberra for the future and mitigating the potential of devasting extreme conditions that could impact life as we know it. Gungahlin is the perfect example of how densification and maximising space has been approached without sufficiently considering community and nature. Narrower footpaths, fewer waterways and parks across Gungahlin are reflective of the development approach of the early 90’s. The opportunity exists, however, to retrofit Gungahlin with an emphasis on nature pocket parks, deep green belts, water areas and breaking hard pervious concrete areas on a proactive basis as and when maintenance takes place. Going forward, climate change should be considered from the initial stages of development, monitored and mandated as required to secure the future of Canberra and the people that call it home. There are many opportunities for research and teaching in universities across the ACT and they should all be playing a bigger role in implementing climate action. We need to work together actively on research programs for the community and when we do we will all be winners. Professor Barbara Norman will be one of three panellists sharing their thoughts on the Evolution of Canberra: Blessing or Curse? at the University of Canberra UnCover Events Launch taking place on Thursday, 28 March. Topic: The Evolution of Canberra: Blessing or Curse? Date: Thursday 28 March, 6.30 p.m.